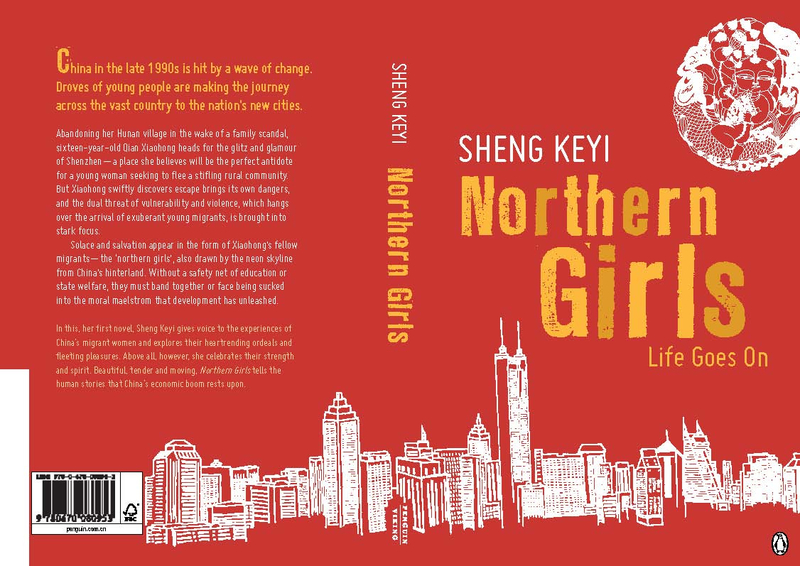 I’m very pleased to announce that my translation of Sheng Keyi’s novel Northern Girls, published by Penguin Books, will be on sale in mid-May 2012. China in the late 1990s is hit by a wave of change. Droves of young people are making the journey across the vast country to the nation’s new cities. Abandoning her Hunan village in the wake of a family scandal, sixteen-year-old Qian Xiaohong heads for the glitz and glamour of Shenzhen — a place she believes will be the perfect antidote for a young woman seeking to flee a stifling rural community. But Xiaohong swiftly discovers escape brings its own dangers, and the dual threat of vulnerability and violence, which hangs over the arrival of exuberant young migrants, is brought into stark focus. 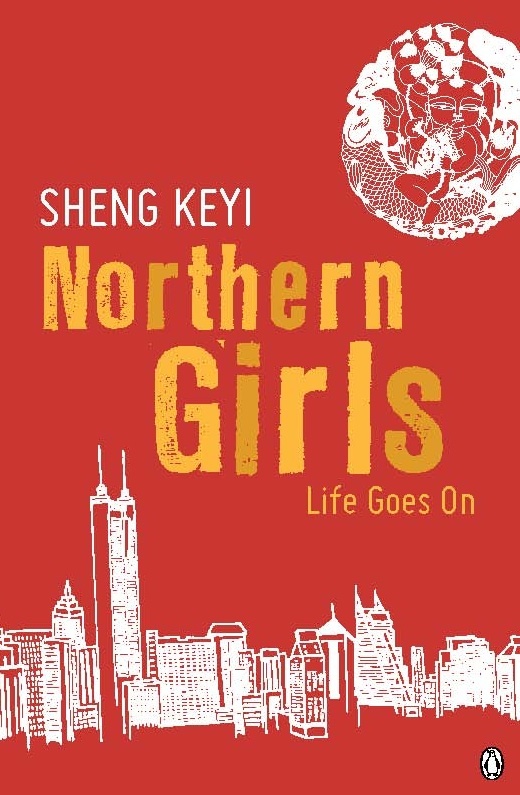 Solace and salvation appear in the form of Xiaohong’s fellow migrants — the ‘northern girls,’ also drawn by the neon skyline from China’s hinterland. Without a safety net of education or state welfare, they must band together or face being sucked into the moral maelstrom that development has unleashed. In working on the translation, I’ve developed a deep appreciation for the characters Sheng has created and the struggles they face. It is an eye-opening book for those of us who have never known the types of difficulties Xiaohong and her friends face. Anyone who has the luxury of taking survival for granted should be reminded, in reading Northern Girls, that not everyone in the world lives with this luxury. It often takes some finagling just to keep one’s head above water, and those of us who take survival for granted are often quick to look down on those who are cleverest when it comes to finding some way or another to get ahead. Xiaohong’s story is one that will make many of us think twice before making those snap judgments about others who make their way through life by whatever means they can. And Xiaohong herself is a reminder that there is often a code of ethics underlying the actions of others that may not be evident to those of us on the outside of the realities of their struggles. But that’s the heavy side of Northern Girls. It is, even in the course of addressing this real life situation that many migrant workers in China face, a very funny book. Sheng Keyi’s use of language is very clever, and her humor comes with a real edge. Qian Xiaohong has her own way of looking at life, and there are times when her means of expressing those views will make you laugh out loud. Those who like to read while commuting on the train, be forewarned — you’ll need your best poker face to keep from embarrassing yourself in the rush hour crowds during the commute. The book is sure to make even the stoniest-faced reader crack a grin, at the very least. Part of what I love about Northern Girls is how it brings the indomitable nature of the Chinese mindset to the foreground. For all the myth of inscrutability that the Chinese have been labeled with by many in the West, they are a quick-witted people who have a real awareness of the humorous side of life’s ironies. They love to laugh, even in the face of a rather bleak situation, because after all, “Life Goes On” (as the book’s subtitle reminds us). Northern Girls is awash with this particular aspect of the Chinese psyche. I am looking forward to mid-May. I am eager to hear feedback from English-speaking readers when the book is released. I think the tale Sheng Keyi has woven together is one that will both surprise and delight English-speaking audiences. Thanks, silken! I’m excited about it. January was another good month for catching up on a lot of reading I’ve left dangling for a while. I made a little more progress on my Fill in the Gaps list and on the books I hope to read this year. So, what have you been reading and watching this past month? been keeping up w/ my list this month. am going to post it as soon as I add the screwtape letters! I’ve been by looking for yours. I’ll stop by again soon. I don’t usually have a real agenda for my reading, unless there are certain texts assigned for work. For the most part, I just make my way through my books (several at a time) as I feel like it. Last year, I signed up over at the Fill in the Gaps blog to join other bloggers in reading 100 books by the end of 2015 (each reading his or her own list). These books will be for the “gaps” between my regular reading schedule. I like the idea, and so far have enjoyed the experience of sticking with a loose idea of things I’d like to finish reading in the near future, but without having a precise schedule for when to read each title. I decided I might like to put together a list of things that I am wanting to read in 2010, focusing on books that are geared to help me become a better writer (specifically, a better writer of speculative poetry). Some of the titles are on my Fill in the Gaps list. I only put here those I plan to get to them this year, and of those that I intend to tackle in 2010, I only included those that are focused on helping make me a better speculative poet. The Book of the Dead – E. A. Wallis, ed. I’m very sure the list will be modified as I go, but for now, this is what I want to aim at for 2010. It’ll be fun to look back next January and see how many changes have been made. Your list will keep you busy, I think. I’m involved in the Booker Challenge this year, an attempt to read varying numbers of books that have won the prize. My first one will be “Wolf Hall” by Mantel. Maybe I’ll fill in a few gaps, too. I know some people who make sure to keep up with one prize list or another, as a way of making sure to keep the gaps filled. I’ve never been very good about that. I’m making some headway on my list already, having finished Intrinsic Night and Voices, and finishing Attack of the Two-Headed Poetry Monster soon. I started Relativity this morning (and expect it to take me a while). I think that my reading gets a little haphazard when I ravel so much. I thought setting up a list that I intend to tackle would help keep me a little more disciplined. We’ll see…. With Rhysling nominations open to SFPA members, I thought I would provide a list of my poems that were first published in 2009. “Manipulated” is the only one that falls in the “long poem” category. All the rest are below 50 lines. I will be happy to email the full text of any of these poems to SFPA members upon request. A few samples are available here. collections over the past month, including my own newly releasedCyborg Chimera, which finally arrived here in Singapore.